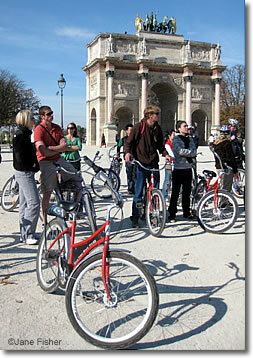 Lots of different ways to tour Paris by bike. Bicycle is a fine way to see Paris, France. You can take an organized, guided bicycle tour, or rent a touring bike, or use one of the nearly-free Velib' public-transport bikes.